Innovation is not a product, process or service. Innovation is a state of being and not for the privileged few. Being innovative is a choice to look at things in a different way. Anyone can be innovative; it takes focus, intention and practice. We have entered the conceptual age where creativity and empathy are highly valued; there has never been a better time to explore your innovative side. During the keynote Jennifer will provide techniques and real life examples that will have the audience thinking in new and innovative ways. Anyone can be innovative; it takes focus, intention and practice. Even if your experience to date has required you to use your left brain (organize and logically think things through, using fact and data and sound analysis), you will be asked on a fairly regular basis to tap your right brain to present solutions and fresh thinking. The right brain is where you create, innovate, feel and connect emotionally. The IWK Health Centre Foundation is the primary fundraising and outreach partner of the IWK Health Centre, which provides critical and specialized care to women, children, youth and families throughout the Maritime Provinces. Since becoming President and CEO in 2012, Jennifer Gillivan has led the IWK Foundation to achieve the highest fundraising revenue in its history – $20 million annually. Born and educated in Dublin, Ireland Jennifer immigrated to Canada in 1982. Over the years, Jennifer has become an accomplished strategist, a motivational leader, a mentor to hundreds, and a smart executive known nationally for great ideas, and great results. Jennifer is an active community volunteer; she is a Board member for the Greater Halifax Partnership and the Canadian Children’s Pediatric Hospital Foundations Board. 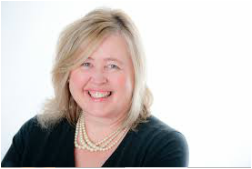 Jennifer was awarded as one of the TOP 50 CEO’s for Atlantic Canada for 2014 and 2015, and has been recognized with Leadership and Entrepreneur awards - Nationally RBC and Regionally BMO.